Moogly reader Brea recently came up with the brilliant idea of making a slouchy hat to match the All Grown Up Arm Warmers – and she was kind enough to let me run with it! 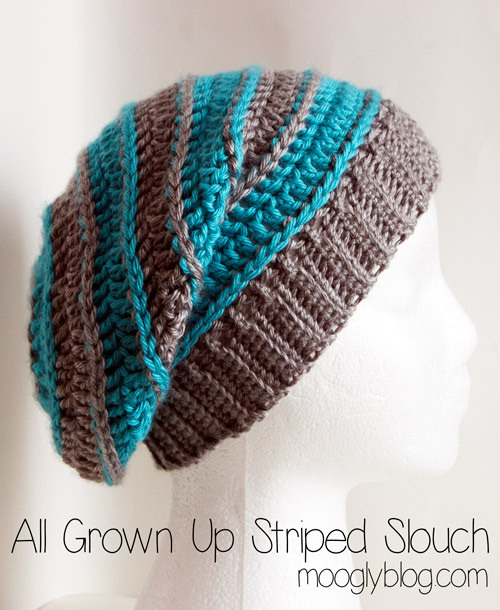 And with or without the Arm Warmers, I think the All Grown Up Striped Slouch Hat is a keeper! Of course, the All Grown Up Arm Warmers are sized for adults – if you’re making the smaller size of this slouch hat for a tween, you’ll want to use the Sweet Striped Crochet Arm Warmers to complete the set! 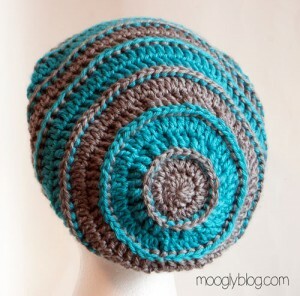 Click HERE for a Brim Tutorial, and Click HERE for a Shallow Post Stitch Tutorial! CLIQUEZ IÇI pour le motif en français – Merci Estelle Comment! NOTE: The post stitches used in this pattern are Shallow Post Stitches (tutorial HERE) – but some prefer standard post stitches! So give each a try and see which you like best – note that with standard post stitches it will be a bit shorter, so you’ll want to add extra rows. Round 9 – 16: Repeat Rounds 7 – 8, alternating colors. Row 1: Ch 9. Working in BLO, sc in the 2nd ch from hook and each ch. (8 sc) Sc2tog in the next 2 set-up row sts, as shown below. This is the “securing st” that attaches the vertical brim rows to the horizontal setup row. Do NOT ch, turn. Row 2: Skipping the securing st, sc in the BLO evenly. (8 sc) Turn. Row 3: Ch 1, sc in BLO evenly. (8 sc) Make securing stitch. Turn. Row 4 – 64(70): Repeat Rows 2 – 3. Sew the brim together using the whip stitch, joining first and last rows. Be sure to work into the BLO of the last row to maintain the ribbed look. Pair the arm warmers crochet pattern and the slouch hat crochet pattern, and now you have a matching set! Looking for a kid size version? Stay tuned… good things to come! What do you think? Let me know in the comments! That certainly would work M-J – it’s just easier for me to write multiple sizes if I work top down! Love it, thanks for sharing! I think I’ll have to make one for myself! I love this pattern so much and love how it is turning out I am almost done and got to the end of the pattern and cannot figure out for the life of me what BOL means. Help? BLO is back loop only! 🙂 There is a video tutorial for BLO on the moogly video tutorial page if you are unfamiliar with the technique. 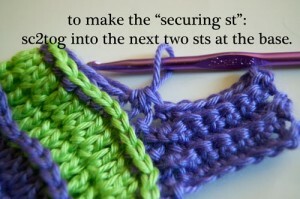 Next question, for the brim when you make the “securing stitch” are there 2 stitches in each of the row 17 single crochet? Or is there only 1? Does that make sense? It makes sense to me! There is only one stitch in each. Actually, you could say it’s half a stitch in each, as it’s a sc2tog with the one next to it! What does bpdc mean in round 3? Thank you! I’m new to crochet and never heard of that stitch before! Very neat affect! Thanks for being available to answer questions!! BTW, do you have any baby toy crochet patterns? Hi Jay, what part is causing you trouble? Basically, after you’ve finished the set up row, you chain 9 and start working vertically, rather than horizontally (how you made the hat). Then you work back down the chain toward the hat in the back loop only, then make a securing stitch (sc2tog) in the next two stitches of the set up row, as shown in the photo. The brim is attached to the hat row by row as it’s made. Does that help? I just got to the brim myself (after taking the hat apart to make it smaller, I used Lion homespun so it is a bit chunkier) and being a novice was like what the heck does this mean! Your description here helps a lot! Time to watch some videos! I’m so glad! I hope to make a video demonstrating the technique next time we film, too. What a great hat!! I truly love slouchy hats and so do my girls. I got frustrated by the brim, because I made a dumb error. so, I added an extra repeat of Row 7 and it’s the perfect height for a beanie-style hat. Lovely and squishy – the bpdc is really a perfect stitch for this pattern. Thanks! Thanks for the Tutorial! Just made it, and I love it.. Less than 2 hours I finished it.. Blessings..
Is it okay for me to make these and sell them as long as I give credit? Hi Sarah! 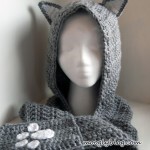 You can sell any finished projects you make from free moogly patterns, but I indeed ask that there be link back to moogly with credit for the pattern on the listing if selling online, or on the finished object if selling in person. 🙂 Good luck with your sales! I love this pattern! I’ve gotten a lot of compliments on the picture of my finished product I posted on fb and I just finished it last night! One of my friends even asked for the pattern so I sent her to your site 🙂 Mine turned out wayyy too big though cuz this was only my second project ever and my stitches must be too loose. I did my own fix though and it looks great. Thanks for sharing this pattern for free! 😀 I’m so glad you like it Sarah! And that you were able to work a fix – that’s a great talent to have! Could you suggest a complimentary mitten pattern? I am looking forward to making the hat. Thanks! 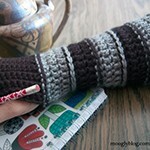 There is the matching armwarmer/fingerless mitts pattern, but not mittens that cover the entire hand. I think if you could find a plain mittens pattern worked in double crochets it would be relatively easy to make the stripes to match the hat. I don’t have specific one to recommend though. LOVE this, Tamara! I saw it when you posted it on Facebook. The colors are gorgeous. You just can’t go wrong with a classic hat like this. Great pattern! Thanks for sharing at Hookin On Hump Day! I made this hat and it looks awesome, but it was super small. Do you think I just crochet too tightly? I followed the directions for the larger size too, anticipating my tiny stitches and it still only has a 17 in. circumference. I squeezed my two year old’s head into it and she said it was too tight. Haha, I just don’t know what happened. I used hook size I with the red heart worsted yarn. Maybe thicker yarn or larger hook will produce a larger hat or a more forgiving stretch. It definitely sounds like you’ve got a lot tighter tension than I do! I’d recommend bumping up on hook size, at least 2 sizes, and checking your gauge after the first 4 rounds! Yeah, I’m going to try again with a K hook and definitely check that gauge this time before I get all the way through the hat, haha. I’ll let you know how it goes! i’d like to say that i love this hat, and i’m going to be making one for my friend soon but the yarn i’m using is a bit thicker than the yarn you used. any advice on sizing when using a bulky yarn? it says i should use an 8mm hook but i’ve started a practice one with the yarn and i’m using a 6.5mm hook… i’m new to crocheting so I don’t really know what effect this will have on the finished product but it seems to be working out fine..
what are the dimensions of the hat for regular adult size? Hi Mary Anne! A lot depends upon your personal tension while crocheting and just how bulky the yarn is – two bulky yarns can be very different, as it’s more of a range than a set point. Using a smaller than recommended hook may give you a very thick and stiff hat though. The gauge for this hat is 4.5″ diameter after 4 rounds. If you are getting a much larger diameter after 4 rounds but like the fabric that you are making, I’d just follow the written directions for the smaller size. The finished hat should be just over 10 inches long (though you can make it longer if you like a much longer slouch, or shorter if you prefer a beanie style), so you can just stop adding rows when you get a couple inches short of the size desired, and then move on to the brim instructions. i think I did what you said, got the circle to 4.5 inches then stopped increasing. i do love this yarn i’m using… i’ll be sure to let you know how they turn out! wow so the hat turned out amazing, my friend wore it to the store and got complimented on it, i’ll show a picture of it once i get one up online! thanks! It’s a very lovely pattern and so easy to get a hang of! I do have a question, though, because I’m about halfway through crocheting this: when exactly does the hat begin to “slouch” if that makes sense? I’m using a wool yarn, and I’m on row 9 right now, and the circle only seems to be widening, rather than falling into a hat shape. I’m wondering if maybe the wool is too stiff for this sort of project, in your opinion? Hi Susan, and thank you! As long as you aren’t adding any extra stitches, it should become more hat-ish in the next 4 rows or so – it takes some time for it to pull back down straight. I don’t think the type of wool should matter too much. LOVE this pattern! I made one today, and it turned out pretty awesome if I do say so myself. Great site, keep up the good work! would the pattern work out if i used chunky yarn and one color? Sure Sora! You’ll need to watch the gauge, and start working even a little sooner, but other than that, I don’t see why not! Hello Zelle! I’m glad you like the pattern! I’d be happy to have you link to the pattern and of course talk about any changes you made, but I do ask that you not re-publish the pattern, or translate the entire thing. Thank you! I love this pattern. It’s so easy and fun. I just have one question I am almost done with my hat but I’m noticing that it doesn’t look like the picture, but when I turn it inside out it does. So my question is…are you supposed to turn it inside out when done? Awesome pattern….I have a question. On Round 3 when you start to do your BPDC, you say to bpdc in NEXT st. On your other patterns when doing a DC in the round, you start your round in the same stitch as the chain 2 – should this be the case here? Should it say bpdc in SAME st? Thanks again for your help and great patterns. Thanks Christine! I had to google that hat, but as soon as I saw it I recognized it! I do not have a pattern for it though. It looks like this person explains their process a little bit though if you wanted to try to come up with something. I would probably start with a basic beanie and then felt the “fingerlings” separately and sew them on. A labor of love for sure! You are very welcome Lulu! 😀 I’m so glad you like it! to teach me how to do a magic ring but I’m not sure how to apply it to this pattern. Any help would be appreciated! Thanks! p.s. Love this pattern! Really excited to make it once I grasp the concept! Great thanks! I’ll check that out tonight. So my understanding is to make the magic ring and then ch an additional two that don’t count, correct? Great! Thanks for the help! i love this hat! my friend wanted a striped hat and this is perfect. My only problem is it keeps coming out way to small. I had to increase to make the hat wide enough and now im at the end of row 16 and its still to short. what am i doing wrong? It sounds like we have different tension levels (and it has nothing to do with stress)! Basically, I just crochet looser than you do. Try bumping up a hook size or two – that should do it! Im currently working on row 10 of this hat, and i am proud to admit its the FIRST time i am reading a pattern, i learned visually!! but this pattern is so easy to read, I fell in love with this hat and i hope to make many more for this winter! thank you very much for posting and creating this! That’s so great Nina! <3 Thank you! After the last sc2tog on the last row 3, do u cut the yarn from there and start whip stitching? Do u just fold the edges right side in? how do u end the brim? after making the last securing stitch, the end of the last row3, do u cut yarn right there and start whip stitching? do u start on the first row since the yarn is already on the last row? Hi meg! Yes, cut the yarn leaving a long tail and whipstitch the last row 3 (64 or 70) to the very first brim row made, sewing into the BLO of that last row 3.
it looks flat, nor ribbed, do u do it with the hat inside out, sewing the right sides in? and u cant do it through the back loop of the first row because it is used already. so do u sew through one loop or two? Hi, thanks for this pattern, very clear and easy. I made the hat and it’s very cool and fits me! (I made the smaller size). Like this blog. I have watched many crochet videos but you are the best crochet teacher!..what ever i have learnt from net..i experienced that you have taught me the best!..♥ ya! this hat is just awesome! I would love to do it, but I’m new to crocheting and I just can’t figure out how to make the magic circle with ch2? Alle the time it looks different to the one on the picture. I saw your tutorial for the magic ring, but how can I do the same with ch2? And you say that normally you start with 6 chains or something when beginning with a magic ring. Did I understand it right that we start with 12 dc in the magic ring here? Sorry if that sounds confusing! Hope I’ll manage it sooner or later 😉 Thanks a lot for sharing this beautiful pattern! There are several different ways to start making a circle (which is how you start a hat). You can ch 2 and make the first row of sts in the first ch, you can ch 4, or 6, and make it into a ring with a sl st in the first ch, and then crocheting into the center of that ring, OR you can use the magic circle, aka magic ring. In this pattern, you can use whichever method you like, but it is written as starting with a magic ring/circle. When you make the magic ring, you can work any sts into it you like. This pattern’s first row is 12 dc sts. The ch 2 is to get up to the height of the sts, but it doesn’t count as a stitch itself. Often you’ll see a ch 3 to start a row of dc sts, and it will count as the first stitch of the row. For this pattern, you start with a ch 2, but it doesn’t count as a stitch, so you work 12 actual dc sts into the ring. Does that mean I’ll start with the ring and then, when the ring is ready I make the 12 dcs into the finished ring? So the ring doesn’t count as a 1st row? Think of the ring as a base chain. It’s not the first row, it’s what the first row is worked into. 🙂 The ch 2 and 12 dc are the first row. A little clearer? I really like this pattern as well! I’m also a beginner and trying to understand the pattern. I watched the video and read the comments. If the magic ring is the base chain, do you still do 6 single stitches? And then, to get your first row of 12 dc, you’d have to work 2 dc into each single stitch? First off, I love this pattern and am trying to make this for my brother. But, as nice as it’s coming out, I have this visible slip stitch stripe (noticeable area where the row is joined) that goes down the pattern. Is there something I can do to fix this? I slip stitch to the first dc or bpdc but it still looks awkward. I’ve never had this problem with any other pattern while working in the round. Any tips would be greatly appreciated. Thanks! Hi Chris! Perhaps try working the sl st in the blo? That should be a little less visible. I’ll give it a try. Thank you! I was hoping you could help me. I measured at row 4, and well, it’s about 2.5″ wide. That is way way way off. I’m using Caron Simply Soft (happened to have some around, yay). At the rate I’m going, this lovely hat will be for a doll. I know I can go up in size on my needle, however, won’t it make more “holes”? I didn’t think I crocheted that tightly. Yikes. Any suggestions? Thanks. Nevermind. I went ahead and did what I considered extremely loose stitches. Yay. Got to row 4 and it was 4.5″ across and overall looking great. Thanks for the pattern and videos. I’m new to crocheting and the videos made it so much easier. Thanks for the reply. Just to clarify. I put my hook into the first dc, take the new color, yo and pull through the dc and the other loop that was already on my hook. And now I have the new color on my hook. Is that correct? p.s. crocheting loose makes life so much easier. Now if I can keep it up. I deleted it by accident. How’s this? Will there always be a seam like that? There will always be a seam, but I think some gentle blocking might help make it less noticeable. I really like the hat but I may be doing something wrong. The hat has like a seam where I change colors. If have taken it part and redone it several times but I can’t get rid of that seam look. I ended up just putting buttons over the seam. Any suggestions for what I may be doing wrong when I change colors? Some visible seam will always be there when not working in a spiral, but blocking and making sure to start each color change by finishing the last stitch of the previous round with the new color will help. Another option is to use cut the yarn after each color and usethe Standing Double Crochet to join the new color (working a standing bpdc that is). 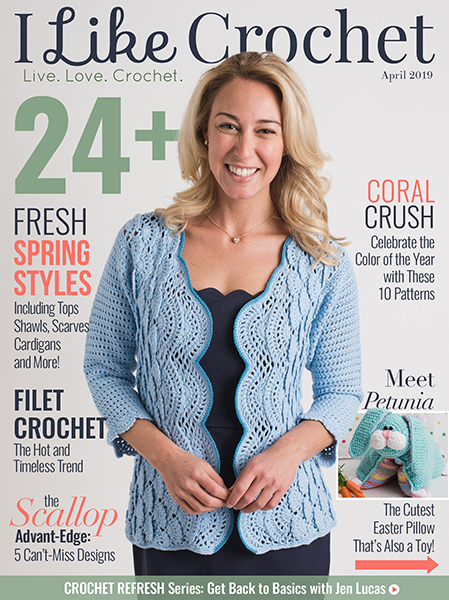 There is a tutorial for the Standing Double Crochet on the video tutorials page. Thanks so much. I will definitely check out the tutorial because I love the hat. For every row of bpdc I do, it seems to lift up the row. So basically my hat isn’t coming out flat!! How can I fix this? There will be a raised ridge texture from the post stitches – that’s part of the pattern. Or do you mean it’s rippling on the edges? I’m very confused by the brim. I’m making it according to your instructions, but it is quite a bit longer than what is shown in the image. Did you swap out the 5.5 hook for a smaller one on the brim? Hi Viki! I used the same size hook throughout. Did you watch the video? Is it longer around or longer in depth? I’m wondering if you are putting the securing sts in the wrong place and ending up with more rows? Just brainstorming… If it’s just too big it might be a matter of gauge, in which case switching hooks to something smaller would be the recommended solution! Question: When it says to join with the first BPDC does that mean we are skipping over the ch2 (ch2 doesnt count as a st ever? ) from the start and joining with the BPDC instead? Can you tell me the trick in making invisible seams? I hate seeing the lump you get even when you ch2 and slip into the dc instead. Is there a way to make it unnoticeable? I just put some cute buttons over the seam. It made the hat even cuter. I tried everything but I couldn’t get rid of the seam in the pattern. 😀 Thanks so much Zoe! So glad you like it! how do you do round 7 and what does (64,70) mean??? The numbers at the end refer to the sizes. For the smaller size you’ll have 64 sts in that round, for the larger size you’ll have 70 sts in that round. 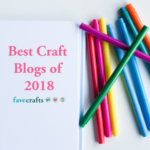 I just wanted to say thank you SO MUCH for this blog and the patterns here. Everything’s arranged in such an easy to understand manner, and any time I’ve been stuck, your tutorial pages have helped immensely! Hats have always been my Achilles heel, yet in just two days I’ve finished this pattern, and it looks gorgeous. 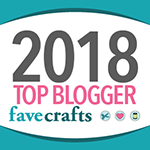 😀 Thank you so much knittinggirl! Your comment made my morning! Love this pattern! I’m making one for my friend. Would you mind posting a short video on how you slip stitch with the next color? I noticed afterwards that it looks like there is a seam-line, making it obvious where the round starts and ends. I must be doing it wrong somewhere. 🙁 I can post a picture if it helps. Thank you! Hi Katie! I can try posting a video sometime in the future, but the only way to completely avoid a seam here would be to break the yarn for the first color, do a seamless join and weave in the ends, and then join the new color using the standing dc technique for the first bpdc. Do u ever block thee hats? It’s been a long time since I wrote this pattern, but not as far as I can recall. I might have though! 🙂 I wrote this pattern over a year before Meladora’s, but it’s good to have options! For some reason, I don’t have the extra color ring around when I switch colors. Do you know what I’m doing wrong? Hi Margaux! Are you using post stitches? No, I’m not. Should I be? Now I see what I was doing wrong. Thank you – I didnt read the pattern correctly, I’m new to crochet and haven’t figured out how to read all the abbreviations! yes, this is my problem, could you please elaborate on how to get this color ring as in the picture? Moogs, you’ve done it again. You just have THE BEST KNACK for combining colors, stitches and patterns to perfection. You are, par none, my favorite blogger/designer/tutor/crochet muse. 😀 Thank you so much Stacy! I think I understand what ‘carry along color A’ means in step 2, but mine doesn’t come out looking like the picture. 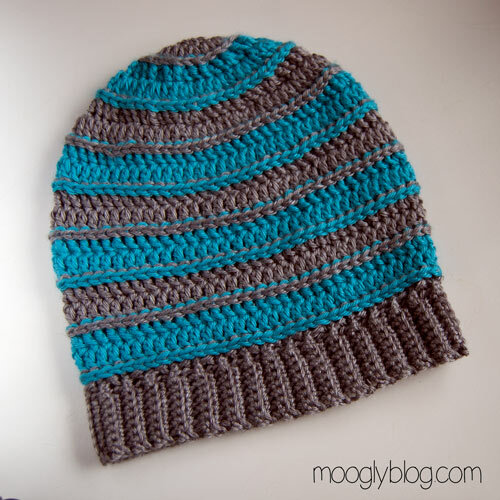 How do you see what appears to be a row of stitches of color A (grey) as if it is it’s own row of stitches, right after color B (cool mint) begins and elsewhere throughout the hat when the colors transition? Is there a video tutorial of changing these colors that would help? I really love the look of the hat in the picture, but mine is not coming out looking like that. I have figured out the answer to my own question, so you can disregard. I mistakenly read bpdc as back loop only and no matter how many times I re-read the directions that stuck in my head. I’ve corrected my mistake and it’s coming out like the picture. Thanks so much. Ah, good! 😀 Glad that’s fixed then. yes, this is my question as well, I want that extra color ring when you change colors, how is that achieved? Greetings, Thanks for the awesome pattern,…..BUT….OOPS, I thought I understood the bpdc meant crochet in the back loop (back of the “V”) of the dc below, which is actually your BLO. So, I did the entire hat with BLO when it said bpdc. It looks fantastic, the ridges are just smaller and the hat a bit lacey. What a new version of the hat. I think I got away with it because I am using a highly verigated yarn with many colors throughout called “Parrot”. Excellent pattern and so easy even if you mess up the stitch like I did it looks great. Now, I look at the video….lol Actually, this is a lesson in totally reading the pattern and understanding it before you start. Now I will look at the other video you mentioned in the comments about BLO to see if I altered that stitch too. Oh, too funny, this hat is wonderful and the pattern was easily repeatable not to complex, well for some of us…lol. Regards! How fun! 😀 I’m glad you got a hat you like out of it! Red Heart Unforgettable’s Parrot? Gorgeous colorway! But when I see them worn now, I question whether I’ve made them long enough. Would you please be able to provide a measurement for the various lengths of each size? I get the width right, but my stitches are rather short, and even with an extra row seems to be a little short. So a length measurement would be great! Unfortunately the hats I made have traveled away – I made them so long ago! But you can always add more stripes as needed to get the length you want! Yeah, that’s what I do. And the people I’ve made them for all really love them, in fact I’m constantly getting requests for more. They just don’t seem long enough now that I’m looking at them, even though I already did add extra rows. I thought I measurement might help. I’m confused about the Brim. How is that supposed to work? I know it sounds like a stupid question but I really am generally confused. Please help me to understand this a little better! No I haven’t! I didn’t know there was a video! Thank you so much!!!! This will help soooo much!!!!!! Im a bit confused. I made this pattern with the same yarn, same size hook and I can not for my life get the gauge to be 4.5 inches at round 4. What do you suppose i am doing wrong? The completed hat ended up being way to small. It doesn’t even fit my 8yr old. I love how it turned out bout the size killed it. It sounds like you and I have very different tension levels! You’ll need to go up 1 or more hook sizes to get gauge. Hi Stefania! I can’t say I’ve had anyone have that trouble before. It’s 12 increases spaced evenly around, all I can think is that you’re not increasing enough? i love this pattern and am now done with the beanie part. I am little confused about the brim – attaching. I remember that tired! 😀 Glad to have helped! Hope you have a restful weekend! I’m making this hat, and every time I join a new colour the new colour is very high up on the stitch it is attached to, and so because it’s so high up, it is very visible where this particular joining slip stitch is. I would like it to be flush, and less noticeable. 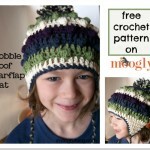 How do you crochet this hat so the slip stitch isn’t visible? I looked at your photos of the hat, and I can’t really see where the slip stitch is. I just want to make this hat, and it look like the one in the photo, but the joining stitch is extremely visible, and it looks weird. I think even a non-crocheter, or crafter would even be able to see that it looks different than all the other stitches. Any help would be greatly appreciated! Thanks! Hi Stefanja! You can try using the new color when pulling through the last two loops of the previous round, or you can break the yarn and use a standing dc to join the new color. I love this hat! I’m wondering if I can use yarn that is not worsted? Will I need to add rows/stitches? Hi Amy! 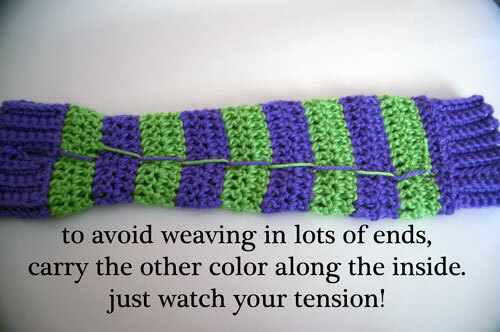 You might want to add a few stitches if you use a thinner yarn, and maybe another stripe as well. 🙂 Thank you! I guess my comment didn’t go through, if it did and this is a repeat please forgive me. I’m working on the brim but it is very loose and looks more like the floppy brim of a sun hat. What am I doing wrong. I have read over and over and I’m following exactly what it says. Hi Erica! Have you watched the video? I suspect your securing sts are one “back” or “before” and therefore adding twice the number of rows. 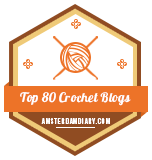 Omigosh you are my ‘GO TO’ crochet lady!! Thanks so much for posting so many wonderful goodies. Can’t wait for the 2015 CAL!! I missed out on this year’s but not again. God willing, I’ll be right there with ya. Oh!! And happy birthday! this is the best pattern ever. ive used 10 million times to make hats for family. they all love the slouchy look. working the brim after works great. the rib pattern itself is great, ive used it for so many other things. 😀 Thank you so much Julissa! I’m having a lot of issues with row five. Up until then everything counts out correctly but I only seem to get 58 stitches instead of 60. Can you suggest a reason to this? I have taken the row apart several times and Dom it differently as well as counting over & over. I really like the idea of this hat and a,pm making this to give a friend. I really couldn’t say without seeing it Larissa, I’m sorry. You’re adding a stitch every 4th stitch, so if you had 48 in the previous row it should get you to 60 on the 5th row. So I figured out the magic circle part, yay me! Thanks for replying so quickly. Second question now… I checked my gauge and I’m at 4 in on the 4th row… I want to do an adult size hat. What are my options without undoing my work? Do you think if I follow your direction and start crocheting more loosely, I’ll be okay? Thank you so much for the great patterns! Forgive me if this comes up twice but I’m not sure if my comment was posted. On the magic ring it says ch 2 does not count as a stitch. Does it count throughout the rest of the pattern, or does the ch2 not count throughout? The ch 2 in this pattern never counts as a stitch. 🙂 Thank you! Thanks so much for the reply. One more question. I think I got the magic ring and I get that you slip stitch into the 1st dc rather than the top of the chain, but it seems like when I don’t count the ch2, it still looks like 13 stitches in the first round instead of 12. Is it supposed to look like that? Do you know what I mean? Thanks again for sharing!! I really love your patterns! As long as you only have 12 dc, then it’s okay. 🙂 The extra “fill” from the ch 2 is better than the gap of a ch 3. I’m wondering though if it’s the slip stitch that’s throwing you off – it can be tricky, but the sl st to join the round never counts as a stitch, even though it can look like one. 🙂 It helps to count your stitches at the end of each round to keep on track. Yes I think I got it now. I love the way it eliminates the gap!! Is it supposed to look like it has ridges? I can’t really explain it, but I’m working in one color and when laid flat the BLO rows stick way up instead of lying flat. Using Heartland. I just finished making this hat and I love it! The only thing is that it doesn’t slouch… I checked my gauge using my I-9 needle and it was a half inch too small so I changed to a J-10. It fits perfectly around my head so I think I corrected the gauge well, and I can stretch it up to 10″ but just at rest it’s a little squatier. Do you know what could have gone wrong? This is only the 3rd hat I’ve ever made. Second question: could the brim transfer to pretty much any hat pattern with a sc row at the bottom? I love how it looks and the instructions were so easy to follow so I’d love to add it to more (simple) projects to add a little flair. Thank you so much for the wonderful patterns and tutorials! Hi Emily! It could still be a gauge issue, or it’s possible that you missed a couple rows – or just have a different sized head! 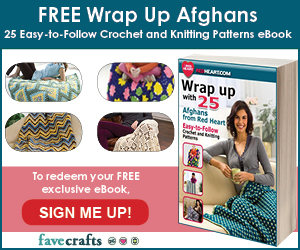 You can add more repeats of the rows that are worked evenly to get as much slouch as desired. 🙂 And yes, you can use that brim on any hat you like! Thank you so much! Hey, Emily… I’m not the pattern designer or anything, but I’ve made this hat about a dozen times and I have a tip that should help! 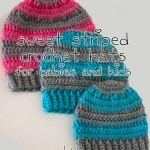 If you are using red heart yarn or low-quality acrylic to make a slouchy hat, it won’t slouch properly. BUT what you can do is put the hat on your head (when it sticks up all crazy like that) and then just pull the back part down LIKE a slouchy hat. The fabric won’t drape properly, but it still looks nice and I get requests all the time from people to make them another hat just like it. Washing red heart yarn before or after making the project makes it softer, but it’s easier if you just buy a different yarn if you want it to drape nicely. Great tip Nikki, thank you! Hi! I’m having a bit of trouble on the 3rd row. Where it says to bpdc in the 1st st then 2 bpdc in the second. Do i just bpdc over the first one? Thanks! Thank you! I’m still having trouble. My beanie was so small! It was about half the size of yours. Lol I used same yarn and all! Any idea what i could have done wrong? Oh my! All I can think is that you and I have very different gauges! Ok! Lol i suppose so! Gonna try again! This hat is beautiful! I just have one question. Do you think this hat would be suitable for a man? My husbands friend has asked me to make him a slouch hat and I’m having a hard time finding a “mens” version. Thank you!!!! I believe this one is a pretty popular option for guys! Another popular one for men is the Leaping Stripes and Blocks Beanie, which can be made slouchy just by adding a few of the rows that are worked evenly. Which one did you do? Hi, can I cut color A on the hat in order to start the brim? Or do I need to have another skein of color A to leave it in tact on the hat? Also, how do you secure color B after you cut it? Thx!! Hi. Just finished making this hat in Black/White. I did use the same type of yarn but couldn’t not get the guage even with bumping up two hook sizes. (Used a K) I also had to add around 6 rows, or so, to get it to be close to 10 inches at rest. I took pics with my cell phone but can’t seem to find how to add them to your FB page. I am now making one with the exact colors as above for my Nephew. Will for sure be making more, in multiple colors, in the future. Great pattern!! I don’t know if anyone has already asked this…Is there a scarf to go with this hat? I didn’t see one but maybe I wasn’t looking in the right places. =) Thank you. I think I might be confused when I am making this pattern my inside looks like your outside. Do you turn the hat inside out? I do the back post but when I do that it looks opposite. I’m so lost. Please help!!! Hi Jayme! I don’t turn the hat inside out, but I do keep the post stitches very close to the top of the stitches that I work into – right under the Vs.
Hello! I’m new to crocheting, and my gauge is a little off. Can you tell me how wide the hat was when you started crocheting evenly? Thank you! I’m afraid this pattern is several years old and I don’t have that info. However if you get the gauge listed in the pattern you should be on the right track. Wonderful pattern. I made it for my 19 yr old daughter. I used three colors of wool yard (trying to use up all yarn with small projects) and instead of carrying the yarn underneath, I wove it in and the hat is reversible – same colors, but the texture gives a different look! She loves it. It fit so well that I am making a hat for myself. When I post the picture of the hat on Facebook, I will link back here. I love the way the brim attaches. Your instructions were insanely simply to follow. Thank you! Hi, just want to say a huge big thank you to you for the very best pattern ever. I downsized it big time and made one for a new born. He looks adorable in it. I’ve made about 20 for my daughter and niece and all the friends. Have handed out your website to everyone as it’s the best. So thank you , thank you and thank you again. Thank you so very much Belinda!! what worst of yarn did you use? Absolutely! Just stop adding length whenever you’re ready! Hello. This is my first hat project, really pmly my second crochet. I am confused about the second row. It says in Round 2: chain 2, make 2 dc in each stitch around. So I did that first. Does this mean after you do the 24 stitches with color A, you slip stitch color B into the first dc of the third row? Hi Megan! There are 24 sts in round 2, with color A. Then when it’s time to finish the round by slip stitching to the first stitch, instead of making the slip stitch with Color A, you use Color B. This sets you up for the next round. 🙂 Does that help? Yes, thank you, that makes sense! Also, if you were to want to do this hat with smaller stitches with a 3.5 mm hook would you just add more stitches to each row or is this more like an exact science that would just get messed up? Not for this pattern specifically, though there are several that apply. What part specifically do you need help with? I totally enjoyed making this hat. I did it in solid dark grey as that’s my daughter’s favourite. I am hoping she will love it like I do. Thank you for writing such clear, concise patterns and videos. 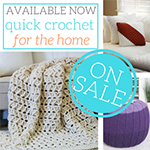 You are my go to person for all things crochet. 🙂 Thank you so much Cathy! Thank you for the pattern. I have a problem I am hoping you can help with. I am currently making one for my husband’s sister who is 19. I am using Simply Soft and an I hook as the pattern calls for. I followed the pattern using the 70 stitches. I put it on my 9 year old daughter… It isn’t very slouchy. Nothing like the one pictured in the pattern. I tried to make sure to crochet loose. What else could it be? Hi Paula! It’s likely a tension issue, I would recommend using a larger hook size. I’m making the grown up slouch beanie. I’m confused about the part that says sew brim together. How is it done? Thank you for the wonderful pattern and instructions. This is the first hat I have successfully completed. The video tutorials are very good. Thank you so much Tanya! 😀 I’m so glad to hear it! HI! Ok I have a question. Im almost finished with this amazing hat, yet Im wondering if im doing the brim wrong? When i get back down to the bottom and Im doing the securing stitch with the sc2tog, is the first part of that sc2tog in the loop that already has another stitch in it and then the 2nd part of the sc2tog the next empty stitch to finish it? Or am I supposed to be going into 2 empty stitches to do the sc2tog?? Im doing the first part, where i start my sc2tog in the stitch that already has a stitch in it, then finishing it in the next empty stitch…but my rim seems to be turning out huge!? or widening out from the hat? Am I doing this correctly? Hopefully you understand how I explained that! lol Thank you! I am new to crochet. I am having problems with the increase in Roudn 3. I understand how to do the BPDC but am having problems with 2 bpdc in next st. Help please!! Thank you! I did find the video AFTER I posted my question. My biggest problem was that I didn’t have enough stitches on round 2. DOH!! Now that I have that figured out I am on my way again!! 😀 Glad to hear it! I love this hat, but I only have Red Heart Super Saver yarn. Will this yarn work for this hat pattern? It might run a little big, but should be okay! 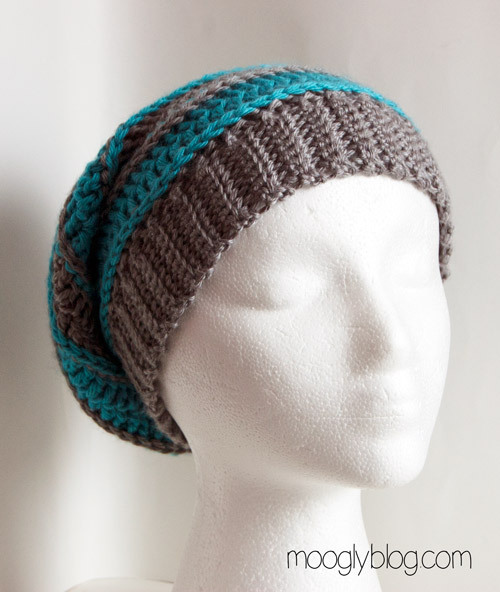 Please tell me how I can make a regular beanie and not a slouch using this pattern. I love the pattern just not the baggy look. Thank you much, is this the formula for all the slouchy hats? Hi. I have used your pattern for a beanie order. I posted thelink to this page on my photo of he finished product. Its not the first time ive used it this is my go to pattern just because i really LOVE IT! It’s super easy and fast. I only just realized ishpuld be giving credit where credit is deserved. Thank you ☺️ for all your free patterns. I love your work! Hello Shantell! Thank you – it looks great! 😀 I’m so glad you like it!! At the end of round 4 it only measured 4”. Is that going to make a difference in the end result. I crochet tight so I am using a K/6.5mm hook.